Every business Andy gets involved with ends with the same result... significant growth, time off and more bottom line profits for the business owner. After 4 kids and an award winning 23 year international corporate career, that included being the first commercial inductee into Diageo's Hall of Fame, Andy made the brave decision to leave the highly compensated Corporate world and help small and medium size business owners become significantly more profitable. Andy specialises in business makeovers, combining his world-class sales and marketing skills with his infectious enthusiasm and has quickly left his mark receiving multiple 5 Star Marketing Reviews from delighted SME owners across different markets and industries – go to www.vanguardbusinesscoaching.com/testimonials, www.fb.com/vanguardbusinesscoaching or https://www.linkedin.com/in/andyturnervbc/en to see for yourself. 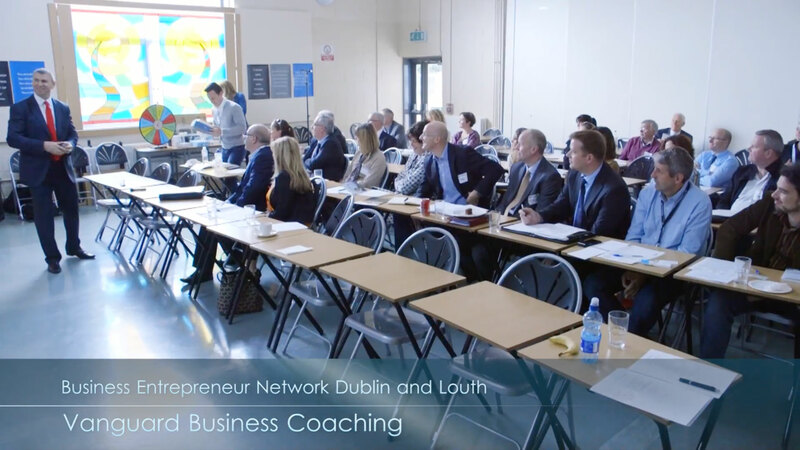 Andy felt frustrated that no one was providing the right support and education to SMEs on how to profitably market their business, so he created his own Business Entrepreneur Network (BEN) to help business owners across Dublin, Meath & Louth. Andy's monthly Marketing Bootcamps are SOLD OUT months in advance and attract sharp, progressive, forward-thinking entrepreneurs. On a monthly basis he has business owners engaging in exciting, fast-paced, fun events to share business with each other locally and learn cutting-edge and proven marketing strategies to explode their revenue and profits. Andy's published a couple highly acclaimed books written to share his experiences, how to avoid the pitfalls and which simple strategies he's proven to build successful businesses FAST. He's a dedicated husband, father of four, and successful business owner, looking to make a positive impact, likely just like you. Everything he teaches he applies himself to build a sustainable, socially conscious, profitable business. Call him NOW on 00353 834316314, email him at andy@vanguardbusinesscoaching.com or book some time via https://www.timetrade.com/book/6KC81 for your complimentary explosive growth session where he will find you €10k in 45 minutes without spending a cent on marketing or advertising GUARANTEED!